Want to live life more abundantly? Want to live life more abundantly? Then be Christ-conscious! When you become conscious of Him, His love for you and all that He has done for you at the cross, you will want to place Him in the centre of your life. So start looking to Jesus. Start focusing on His beauty. Start enjoying His love. Thats how you will live a life worth living! A Life Worth Living by Joseph Prince was published by Nova Publishing in January 2010 and is our 17465th best seller. 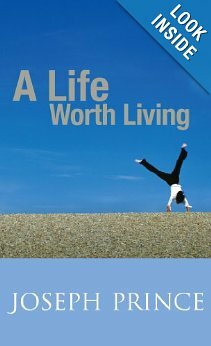 The ISBN for A Life Worth Living is 9789810537289. Be the first to review A Life Worth Living! Got a question? No problem! Just click here to ask us about A Life Worth Living.